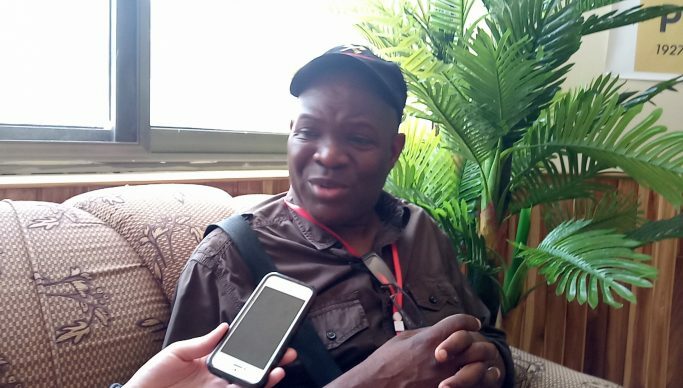 SOCIALIST Party 2021 presidential candidate Dr Fred M’membe says a progressive socialist wave has dawned in Africa with the resurgence of revolutionary ideas. Extolling Dr Kwame Nkrumah during the Founders Day celebrations in Winneba, Ghana on Friday, Dr M’membe said the revolutionary ideas of Africa’s founding presidents had been reinvigorated. He told the more than 400 delegates attending the Third Pan Africanism Today Conference that revolutionary ideas such as those of Nkrumah do not die. “Those who thought Nkrumah is dead, they should realise that wherever there is a crucifixion, there is always a resurrection. Nkrumah is with us right here today. The ideas of Nkrumah will live forever, they will live forever in us, they are here today in his homeland of Ghana. Those who thought we were totally defeated and that was the end of Nkrumah’s ideas were mistaken,” he said. Dr M’membe said capitalism had no answer to problems of inequality, unemployment that were crippling the world today. He said socialists were ready to confront and provide solutions to these challenges. Dr M’membe said socialist revolutionaries had gained enough experience to confront the problems facing the world. “We are coming for you! We are coming for you! And there’s no pulling punches. We are more revolutionary than six decades ago; we are more experienced than six decades ago. And we are more in numbers than six decades ago,” he said. Dr M’membe said something big was happening, that the imperialists would not be able to stop. “They will not be able to stop this progressive wave. History is not always in a straight forward direction, there’re often gigantic leaps backward. We have suffered our leaps backwards, we have had our Calvary. We’re now coming for you! We’re coming for you! And victory is certain! We will not do it with guns but with ideas – Nkrumah’s ideas, Cabral’s ideas, Fidel’s ideas, Chavez’s ideas! We’ll do it with all the ideas of the revolutionaries of our past and our present,” he said. Dr M’membe said detractors’ concerted efforts to bury Nkrumah’s ideas with his body had failed and people were today much more aware of Nkrumah’s ideas than they were before. “Today we are here to reclaim, to redefine and to chart a new path for the Nkrumah we know, a Nkrumah who is socialist, a Nkrumah who is communist,” he said. “Comrades, this progressive socialist wave will not be stopped! We are back in Ghana to draw our inspiration, to recharge our revolutionary batteries, to rededicate ourselves to the African struggle for socialism, which is not only the struggle for Africa, but a struggle for the whole world”. Dr M’membe said the struggle was not about reforming capitalism but to build a socialist future for the continent and the whole world. He said the capitalist system had failed to find solutions to the many problems the people were facing. “We’re here to continue what Nkrumah struggled for and died for. We’re here again because Nkrumah lives in us,” said Dr M’membe.